Salem Electric keeps the lights on in the communities it serves—and a whole lot more. Salem Electric’s annual meeting is a bit different than those at a typical electric cooperative. Rather than a Saturday big tent affair with barbecue and raffle tickets, the meeting is a low key gathering with cookies, held upstairs at Roth’s supermarket in West Salem on a Tuesday evening. Attendees tend to be parents of the students receiving college scholarships, along with the cooperative’s most ardent followers, including 90 year-old Louie Sansing, who lives on a quiet residential street nearby. The absence of crowds and balloons doesn’t reflect the deep reservoir of support for the cooperative in places it serves: West Salem, Keizer, Northgate and small portions of downtown Salem. However, there are other barometers of success. 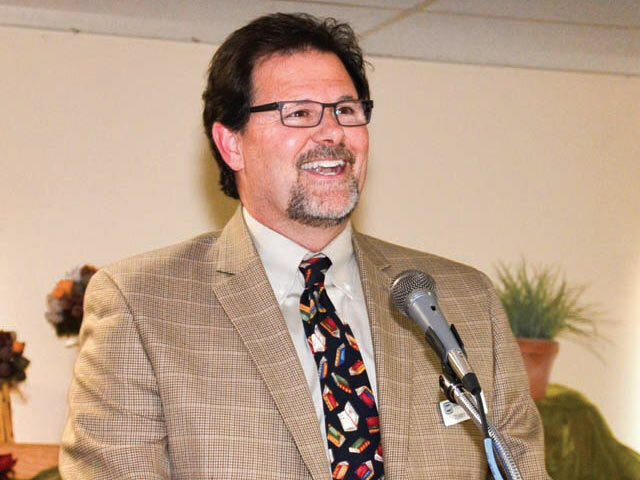 It is perhaps fitting that Salem’s annual meeting is different, as the cooperative is unlike any other in the state—and perhaps the entire rural electric program. Like many cooperatives established in the halcyon days of the Rural Electrification Administration, Salem Electric is celebrating a 75year anniversary in 2016. Manager Terry Kelly starts his annual meeting speech May 10 by briefly reviewing the history of Salem Electric, including the compelling story of Harry Read, the owner of a local radio station who approached Portland General Electric in 1938 to see if he could get a discount on his electric bill. He was rebuffed. “It was an upsetting event for Harry,” Kelly says. It was so upsetting that Read started his own cooperative in West Salem. Other Oregon electric cooperatives recently have celebrated their 75th anniversaries, but that is where the similarities end. West Salem and Keizer look nothing like the dense forested areas of Western Oregon’s electric coops or the endless rangelands of those across the mountains. Harney Electric in Eastern Oregon serves a vast 20,000 square mile territory— larger than many states on the East Coast. Salem Electric was created by radio station owner Harry Read, who was disenchanted with Portland General Electric’s service. According to statistics, the co-op’s 49 employees have taken electric reliability to a new level. 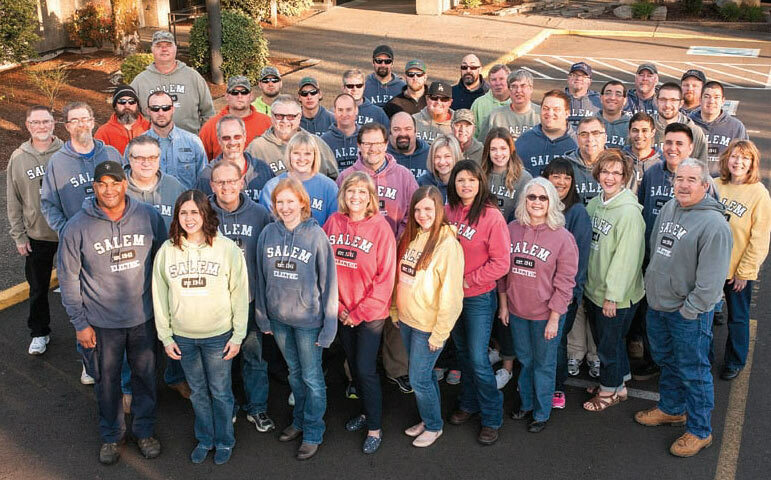 Salem Electric serves approximately 18,000 members across 17.5 square miles. A compact, largely residential service territory certainly makes it easier to keep the lights on, but Salem Electric has taken reliability to another level. Statistics back this up. Salem Electric’s outage time per member averaged just more than 16 minutes during the past decade—an almost unheard of level of reliability in the electric utility industry. For Kelly and his team, the engineering aspects for this level of reliability—redundant service and remote switching, for instance—are only part of a larger philosophy. The self effacing Kelly took over the coop’s top job in 2014 and has been at Salem Electric for 33 years—part of a remarkably stable workplace. In an era of employee churn and rapid turnover, the average service of Salem Electric’s 49 employees is 15 years. “We have a tremendous staff that cares about and involves our members,” says Alicia Bonesteele, a Salem Electric board member and longtime community leader. But now, Kelly tells the annual meeting crowd, this tenure is forcing change. Kelly and his board are well aware of what the loss of this historic knowledge can have on a utility known for its rock solid stability. They are investing in a career development program to meet the future. “We view this turnover as an opportunity and not a challenge,” Kelly says. Each annual meeting, a select group of Salem Electric employees are invited to describe their jobs. It is an opportunity to take center stage, if only for a few minutes. They take obvious delight in the opportunity. In 2016, the four individuals selected have diverse jobs, ranging from engineering to accounting to cybersecurity. They are linked together by their enthusiasm and a headquarters building across the street that is a throwback to an earlier era, when customers actually came through the front door for service. Despite advances in automation, Salem Electric has extensive foot traffic. Up to 3,000 people a month visit the office. Kelly says these personal interactions— a byproduct of their reputation in the community—provide more opportunities to talk about the coop and its programs. A member who comes through the door to talk about heating assistance may be connected with energy efficiency personnel, creating what Kelly calls a “one stop shop” for energy services. Because of this acute attention to detail, Salem Electric has few write offs and even fewer disconnections. What Salem Electric is doing outside its doors is also evident at the annual meeting. Along with an active employee presence supporting the United Way and serving on other nonprofit boards, Salem also provides 10 $1,000 college scholarships for local high school graduates. Many of these scholarship recipients attend the meeting, their parents beaming as the students nervously tell the crowd their plans for the future. After 90 minutes, the Salem Electric 75th annual meeting concludes with cookies still on the plate. Next year—the coop’s 76th anniversary— there will be little talk of history. But there will be another batch of graduates receiving scholarships and a new slate of employees to speak with pride about their jobs. It is also a good bet the lights will barely flicker during the course of the year for those Salem Electric members who choose not to attend. But they will most likely share the perspective of 90 year old Sansing, who wouldn’t miss a meeting. He is not only a Salem Electric member, but a retired utility executive who, after managing electric cooperatives throughout the world, is still partial to his local utility.